Do you know how to instantly elevate your brunch game? 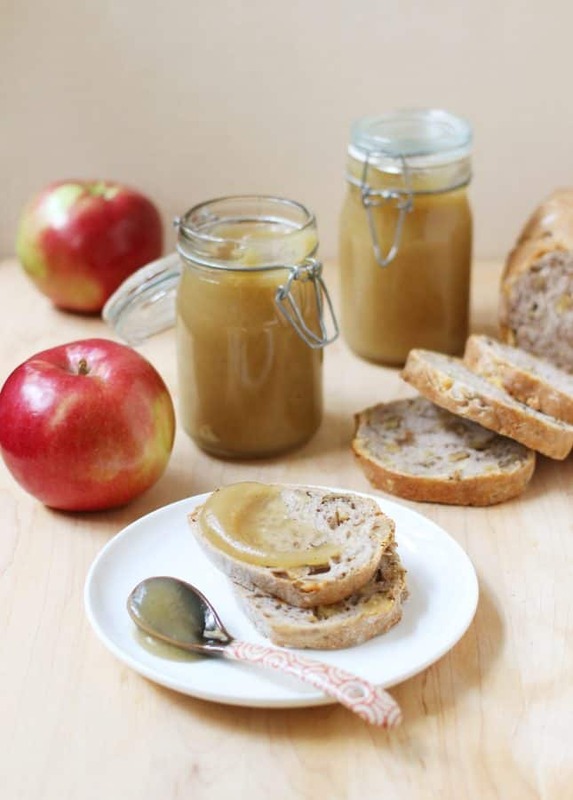 Add homemade jams and preserves to the mix. 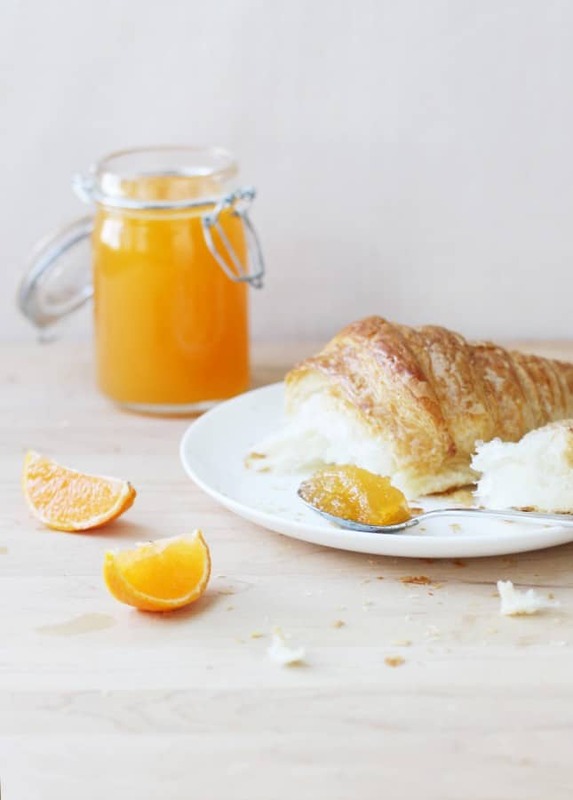 To be honest, I don’t like to rush and fuss in the kitchen early in the day, so serving buttery croissants and fresh bread with an array of sweet condiments that I’ve prepared in advance is actually my favorite way to brunch. 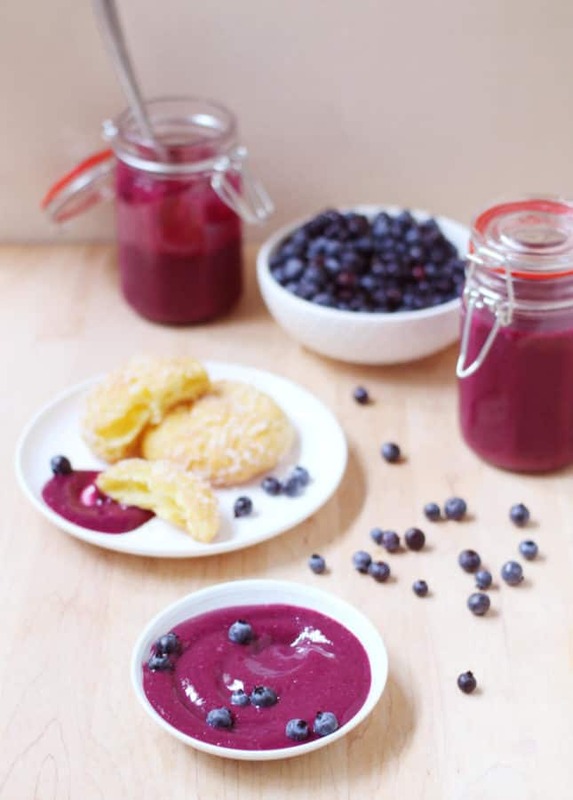 This Blueberry Curd is guaranteed to wow your guests—I mean, look at that color! 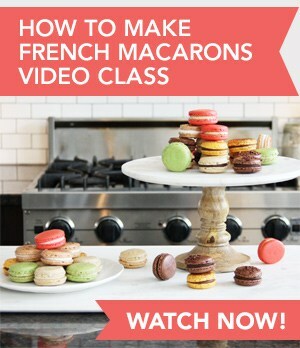 Get ready to whip up several batches because one jar goes out in a flash. The good news is that the curd comes together pretty quickly. So, if you keep blueberries in the freezer, you’ll always be a few hours away from a delicious homemade treat. 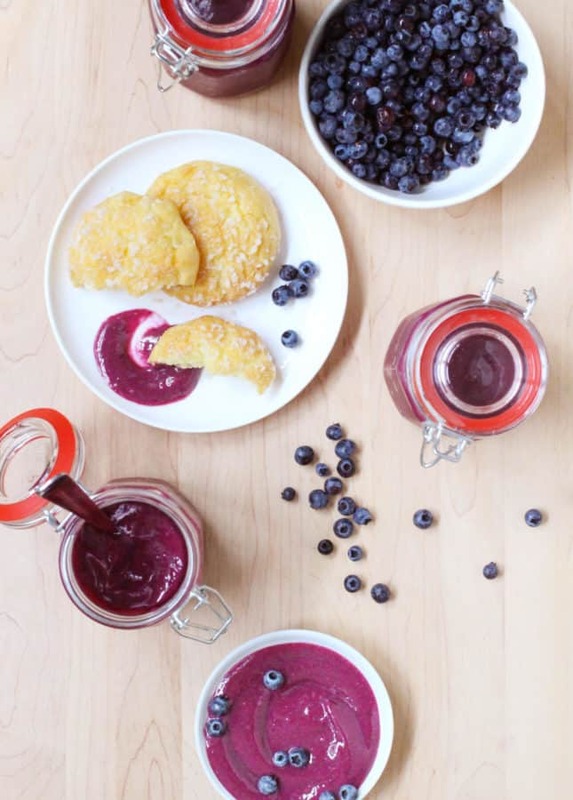 Slather this Blueberry Curd on anything and everything: crêpes, pancakes, scones, croissants, buttered toast, English muffins, and gelato are all excellent vehicles to enjoy this curd. 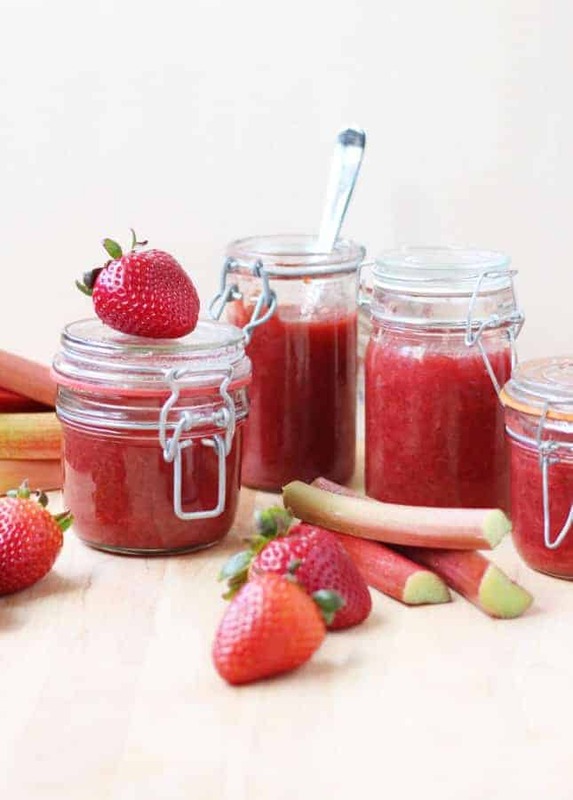 You can also use it to enhance desserts: spoon it over gelato or yogurt, serve it with angel food cake along with fresh berries and whipped cream, fill up a baked pie crust and top it with toasted meringue, or add it to a trifle for a spectacular result. The possibilities are endless—really! 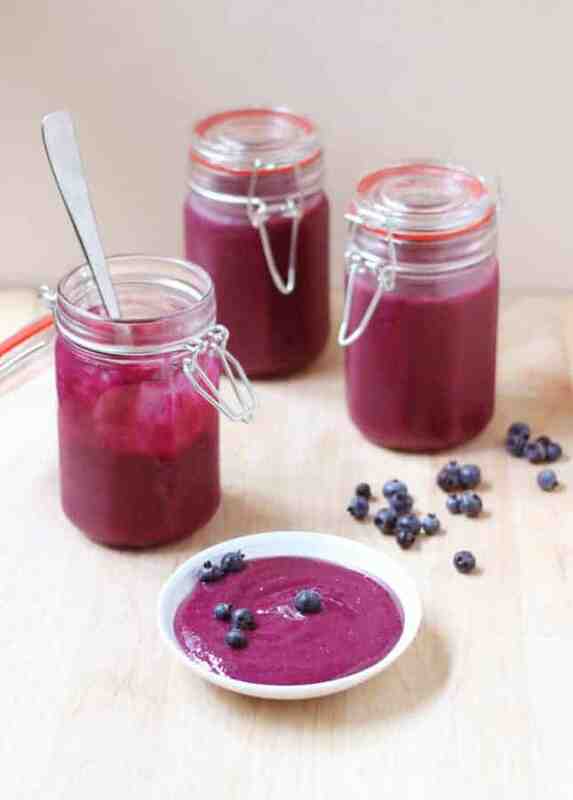 This bright purple Blueberry Curd is an instant crowd pleaser. 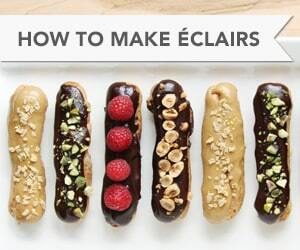 Serve it with anything and everything breakfast related, or use it to elevate desserts. Place the blueberries and lemon juice in a small saucepan and set over medium heat. Bring to a boil, then lower the heat to maintain a low simmer for 5 minutes, lightly mashing the blueberries using a wooden spoon. Transfer the mixture to a blender and puree until smooth. Strain and discard the solids. Measure 3/4 cup (175 ml) of blueberry juice (keep the remaining juice, if any, to add to a smoothie or your morning cereal). Return the blueberry juice to the saucepan, stir in the sugar, and set over medium heat. Simmer until the sugar is dissolved, about 3 minutes. Turn the heat off. Whisk the eggs in a medium bowl. Very slowly pour the blueberry mixture into the eggs, whisking constantly to warm up the eggs. Scrape the mixture back into the saucepan and set over medium-low heat. Simmer, whisking constantly, until the mixture becomes thick like a soft pudding (make sure to whisk constantly so the mixture doesn’t stick to the bottom of the pan and burn.) Remove from the heat. Whisk in the butter. Transfer to a glass jar. Let cool completely, then refrigerate for at least 2 hours. 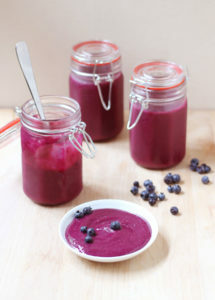 The blueberry curd will keep in an airtight jar in the refrigerator for up to 1 week.